For the most effective and hygienic way to clean sealed hard floors and surfaces at home, a Shark steam mop is the tool you need. Multifunction Shark steam cleaners deliver professional cleaning solutions for a range of household tasks. Steam cleaning provides a hygienic way to clean, killing bacteria without the need for harsh chemicals. Shark steam cleaners are ideal for families and pet-friendly households, and can mop, scrub, dust, clean windows, and carpets too. These lightweight, handheld steam mops deliver super strength cleaning power using only tap water, and come in a range of sizes and water capacities. Shark steam mops feature 180° swivel steering for easy manoeuvrability, and telescopic handles to make it easy to reach tricky places. Steam power not only instantly sanitises, killing 99.9% of bacteria, it makes floor cleaning quick and effective, cutting through grease and grime with ease. Every Shark steam mop is ready to use in just 30 seconds, providing 10-20 minutes of steam time. 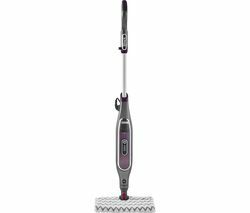 Whether it’s the portable Shark S3901 for mopping, scrubbing and dusting, or something that can tackle ovens, carpets, windows and more, whatever your home cleaning needs we have a cleaner to get the job done.